See how we've helped Australians generate wealth and income by investing in the right property. We build and manage your property while you invest your time in other valuable activities. For the past 30 years, hundreds of Australians have invested in our hassle-free properties. We've helped both seasoned investors and first-timers. Our investors get 3 years guaranteed rent, transferred to their bank account every month. "Within the first year, I had the property valued and was pleasantly surprised that it had a gain of around $35,000-40,000 on the valuation." Peter had previously invested in a number of investment properties and wanted to build on his portfolio. Ready built property on a single contract with guaranteed rent within four weeks made it an easy decision. A recent 2018 valuation put Peter's first property at over $610,000 so another $38,000 equity gain in 18 months. Peter has recently purchased his 2nd investment property with Dwyer property investments this time at Aura on the Sunshine Coast. He's enjoying the 3-year rental guarantee which has a 0% vacancy rate. "I was dubious at first when I first heard about Dwyer as it appeared almost too good to be true. 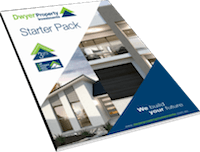 After contacting Dwyer and going through the rather daunting process of an investment property everything was explained to us clearly and simply. The property we invested in was on the Sunshine Coast and at the time we lived in Alice Springs. Jason Dwyer stepped us through the whole process guiding us step by step until completion. Two years on we have had no issues and are able to basically sit back and watch our investment grow. I have since informed colleagues about Dwyer who have also invested with Dwyer and could not be happier." As a Mortgage Broker, I have written many loans for a wide range of my clients many of whom have invested in property. They offer fantastic service, their workmanship and attention to detail is first class. "I was so impressed with their product I bought one myself"
I just wanted to send you a quick note to let you know how happy I am with the house. I have to say that the quality of the workmanship is outstanding. The house has exceeded all expectations and as a result of the inspection I am a little disappointed that Claire and I are not moving in. The quality of the build is exceptional and it is obvious that there has been a great deal of attention given to detail with regards to the overall finish of the home. I cannot imagine a circumstance where anyone would be disappointed with the build quality of a Dwyer Quality home. Claire and I would like to extend our sincere gratitude to you for the time and effort spent assisting us with our first investment property. We could not have hoped for a better outcome. Your thoroughness and experience was great and helped us through every stage of the process. From the very outset you were very honest, open and genuine in your desire to ensure the success of our investment. Trevor and Lee are Brightwater residents who are now Brightwater investors too. As newcomers to property investment, they were looking for a solution that would make investment process simple and hassle-free. Dwyer home exceeded our expectations. "The quality of the workmanship of our Dwyer home exceeded our expectations. The assistance we received from the start has been outstanding." "On behalf of Lee and myself, I would like to thank you and your team for the service and ongoing service of our first investment property in Brightwater estate on the Sunshine Coast. The assistance we received from the start has been outstanding. 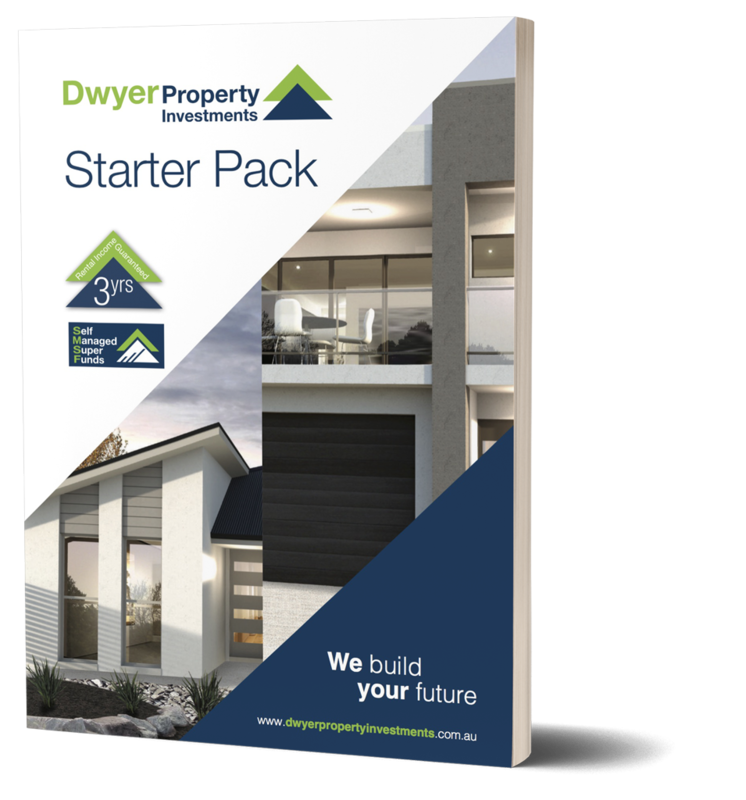 As newcomers to investment properties, Dwyer Property Investments made it so simple for us. The quality of the workmanship of our Dwyer home exceeded our expectations and we are very happy with the finished product. What can I say, this has been hassle free for us both and knowing we have a guaranteed rental income for three years is an added bonus. I would highly recommend to anyone who is thinking about getting an investment property to use Dwyer Property Investments." Step-by-step guide to becoming a property investor. 7 must-know tips for investing in property (based on 30+ years building investment properties). How we select high-yield / high-growth investment locations (to suit your investment strategy).